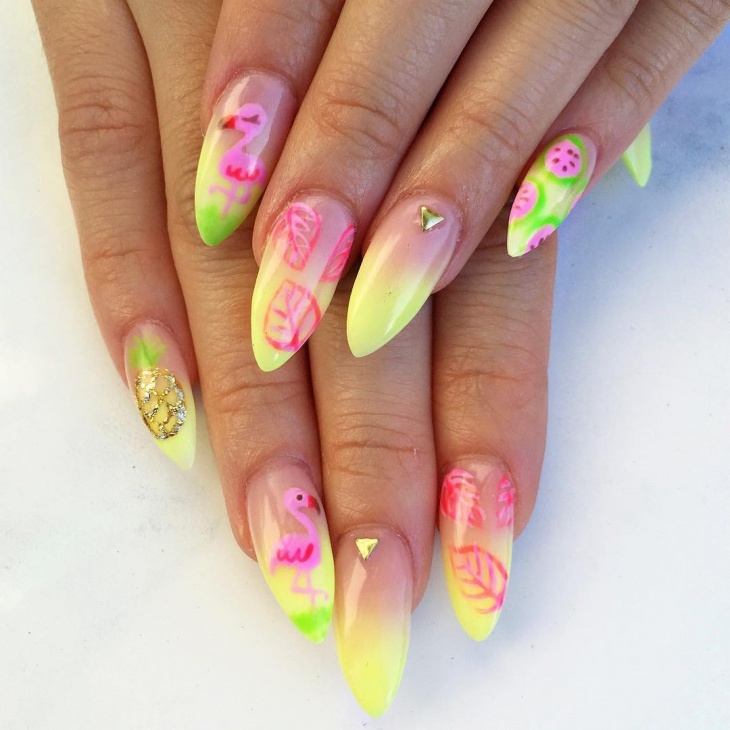 What’s likable about a pineapple nail design is that apart from being adorable and colorful, they are suitable for girls of all ages. These cute nails will help portray your fun mood as well as make you look chic. 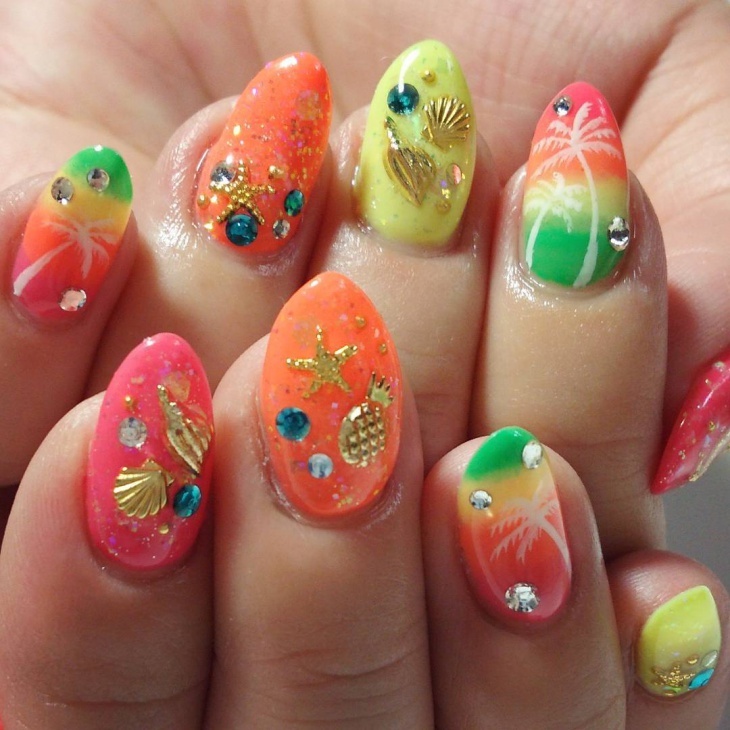 Whether on short or long nails, these pineapple nail design will suit you. 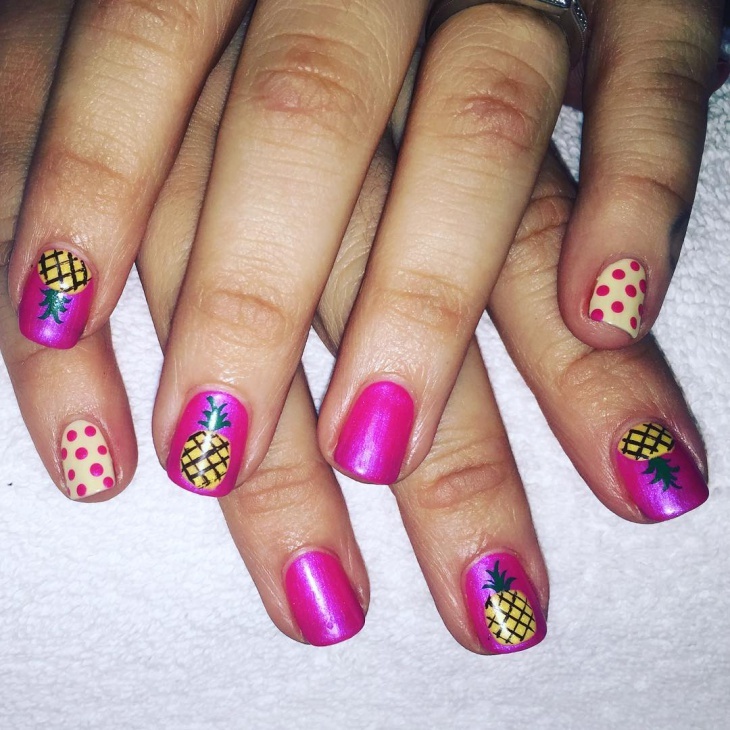 What better way to spice up your pineapple nail design than with a vibrant polka dot. 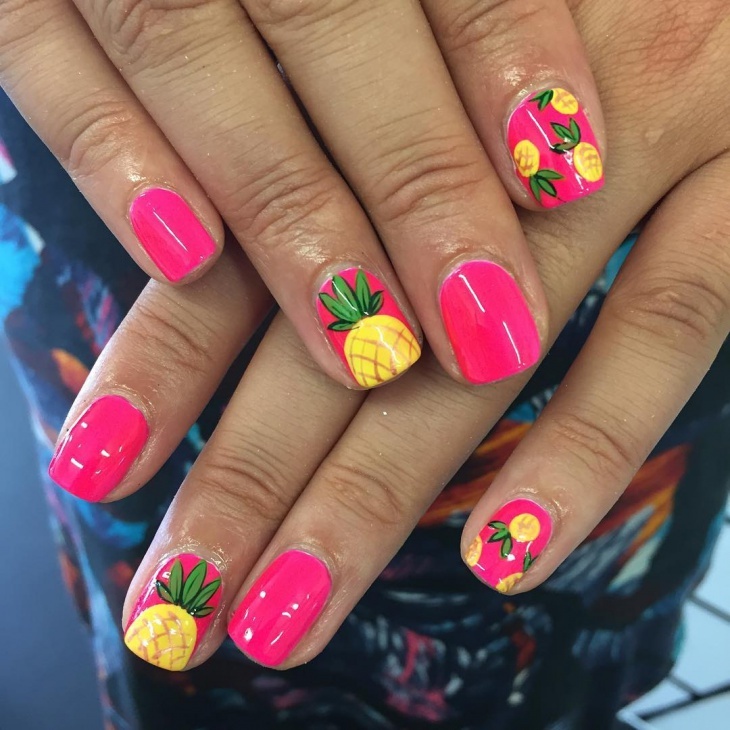 Instead of having pineapples on all your nails, opt to add them on two of your nails and use a vibrant pink nail polish as your base coat. 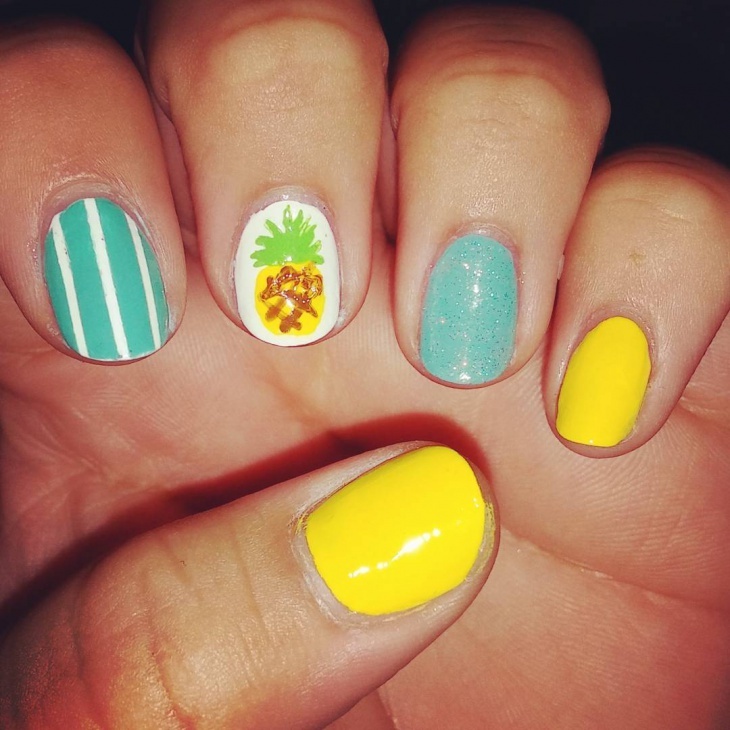 Pineapples nails are perfect for summer. 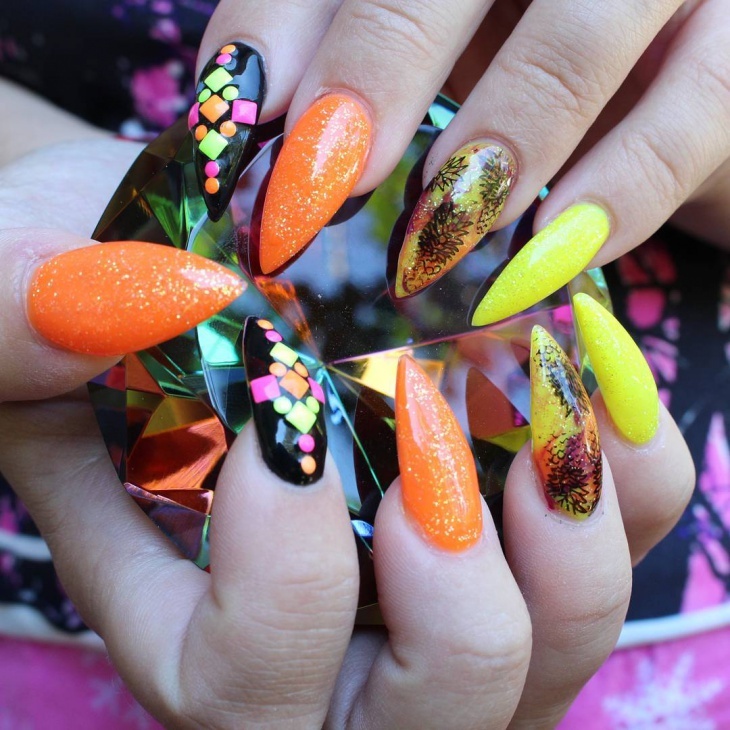 However, to give your design, an edge opt to incorporate red and yellow gel nails. With this design, you fingers will surely make a long lasting first impression during that special event. Ladies, who love French manicure, can give their nails an edge by adding a pineapple design on the middle finger. The trick to making this design beautiful is to create the crown on the nail tips using green nail polish. 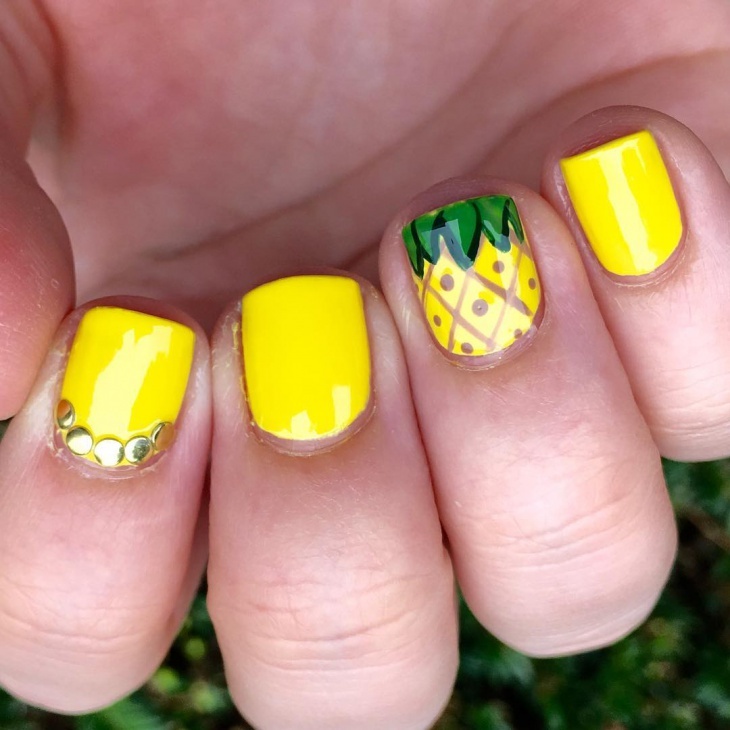 If you love black nail polish for your pedicure, then incorporate cute pineapples on your big toe to make the design unique. 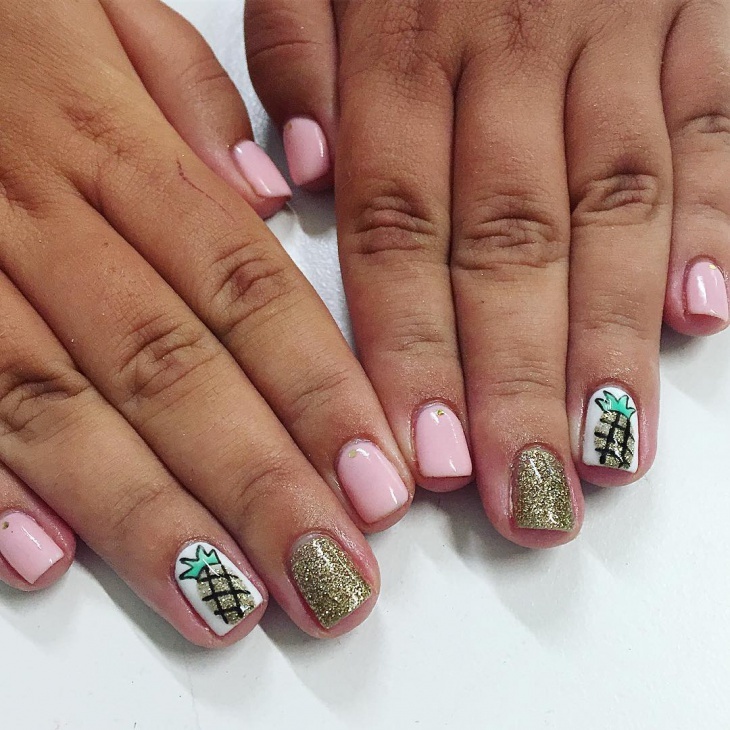 The white pineapple design and yellow nail polish give this nail art a fun yet elegant look. 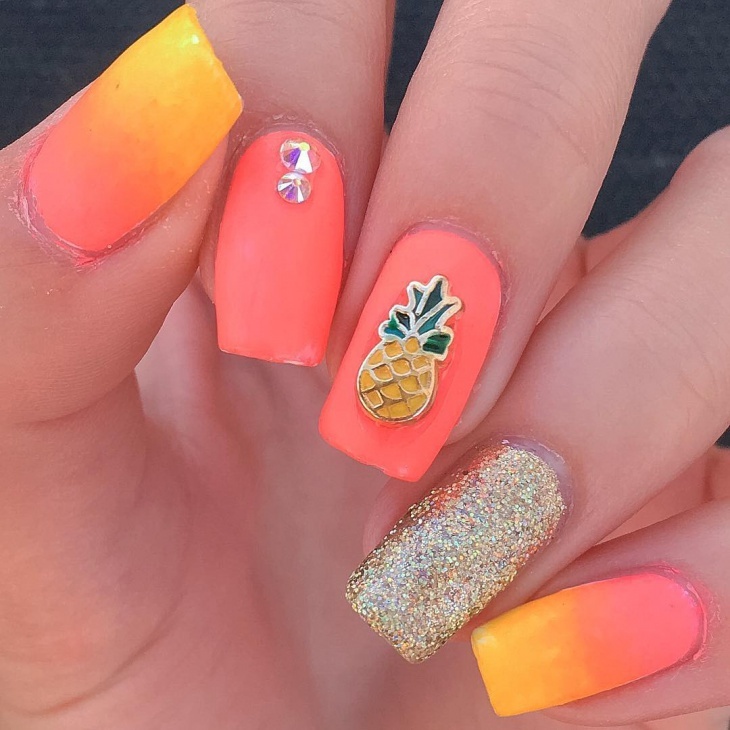 If you love pineapples, then why not portray your love for this juicy fruits by opting for this glitter pineapple nail art. 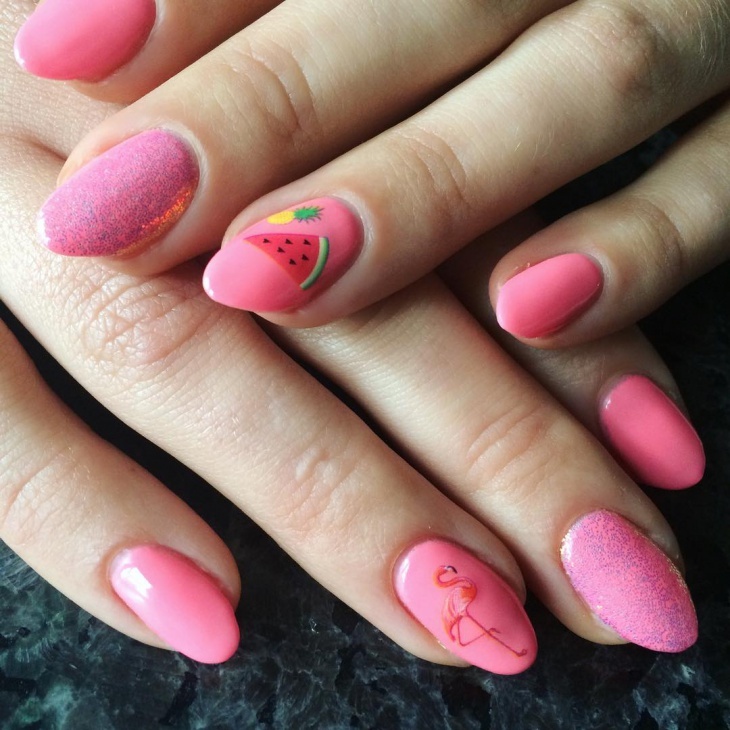 This cute gel manicure is perfect for summer. Adding glitters on a few of your nails gives the design an elegant look. 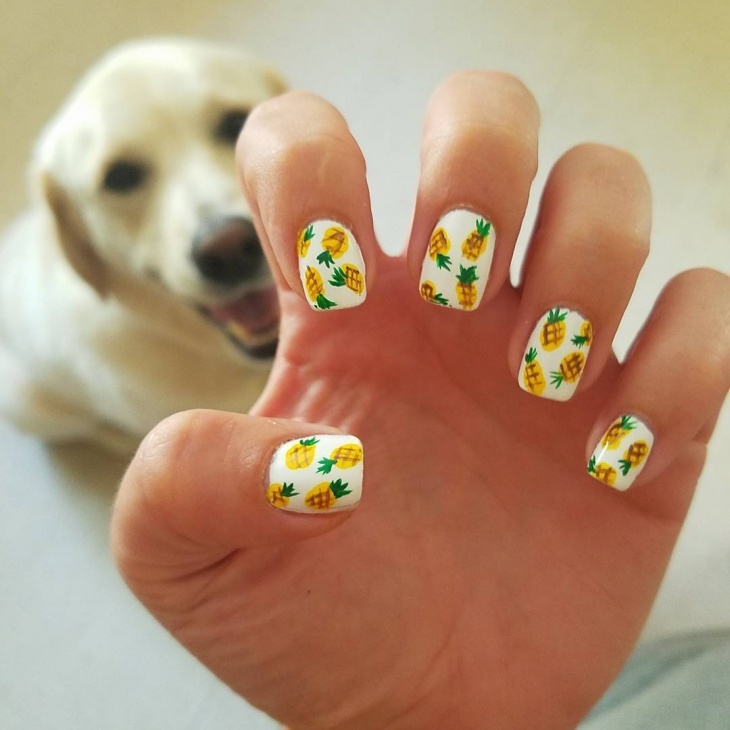 Natural nails provide the perfect canvas to draw cute pineapple nails. Whether for summer or a wedding, these nails will look beautiful on both young as well as mature individuals. 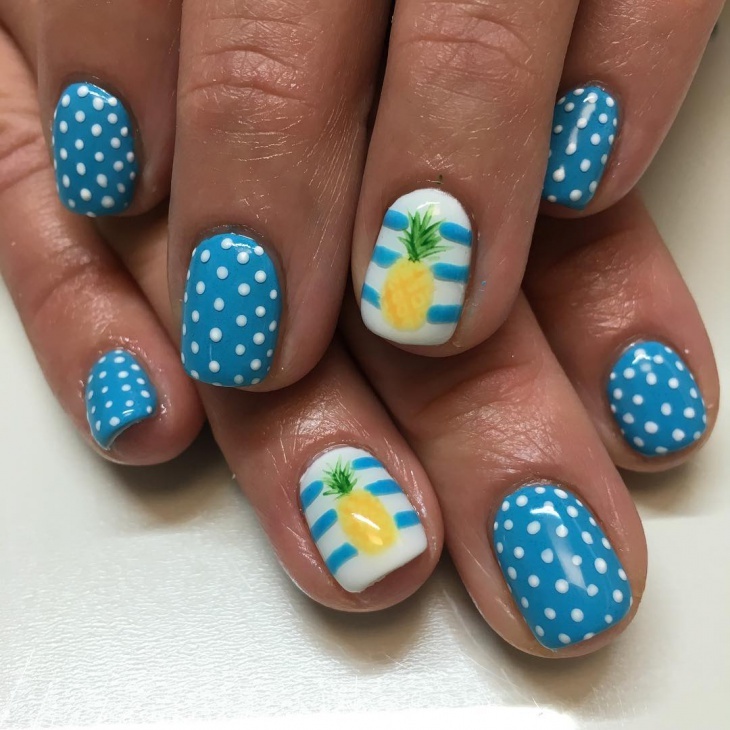 To get this design add two to three pineapple designs on a white nail polish. Adding a flower nail art to sharp nails is the easiest way to make your design fun and chic. Suitable for ladies in their twenties and thirties this design is ideal for portraying your love for juicy fruits. 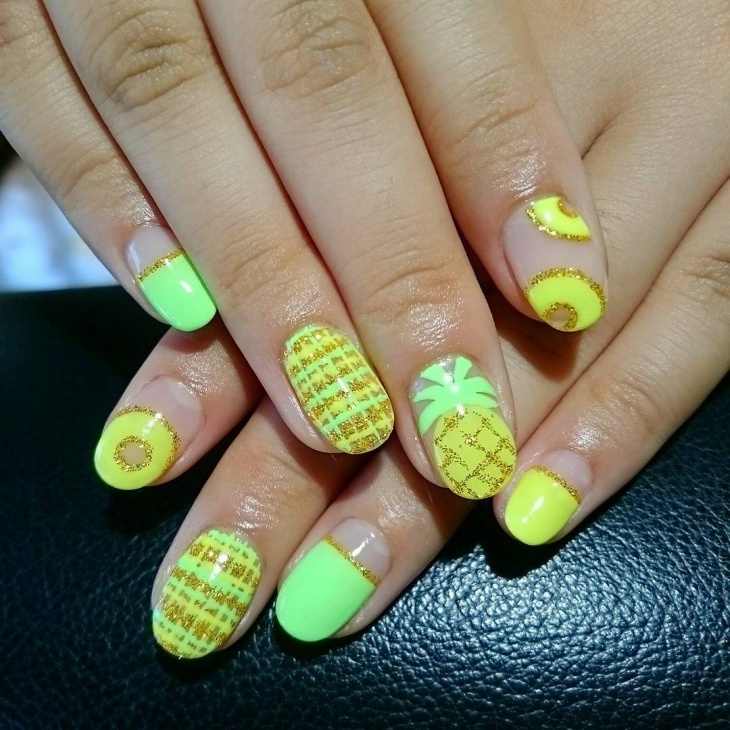 This cute short pineapple nail design is suitable for kids as well as teenagers. 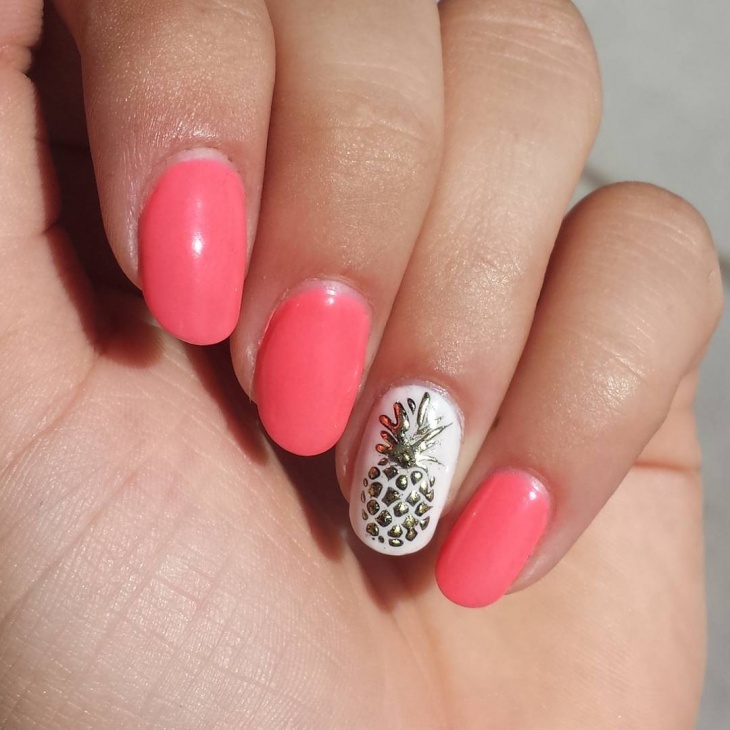 The vibrant pink nail polish gives this design a feminine trait while the pineapples add an edge. Instead of adding the crown of the pineapples on the tips, add it to the base. If you love the blue color, or you just want to match your nail polish with your outfit, then this attractive food nail design is for you. 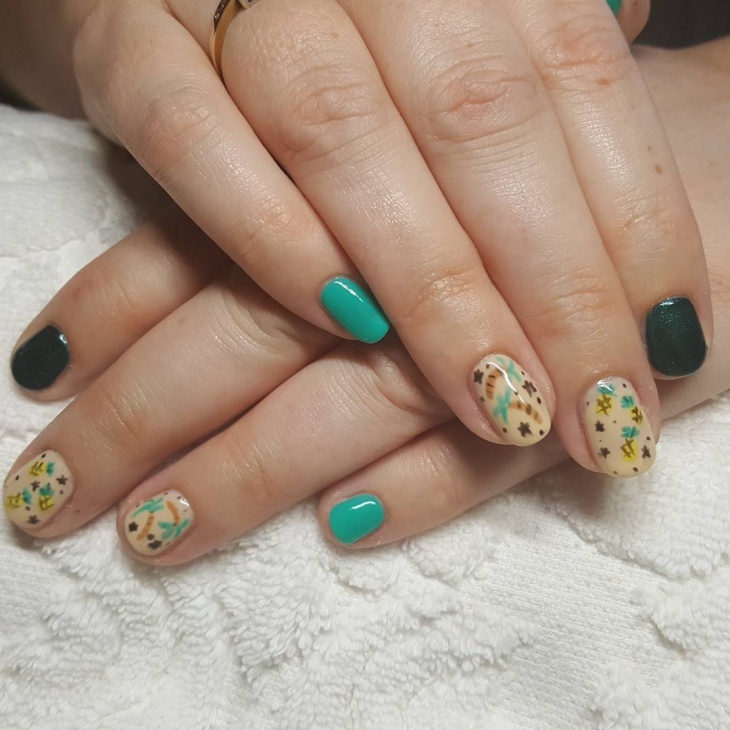 What makes this design unique is the polka dot nail art is the center of attraction. Apply two coats of pink nail polish then add some diagonal lines using a brown nail polish to create a diamond shape. Use a toothpick or stripping brush to draw the lines. Then paint triangles on the tip of your nails using green nail polish and finish by adding a clear top coat. 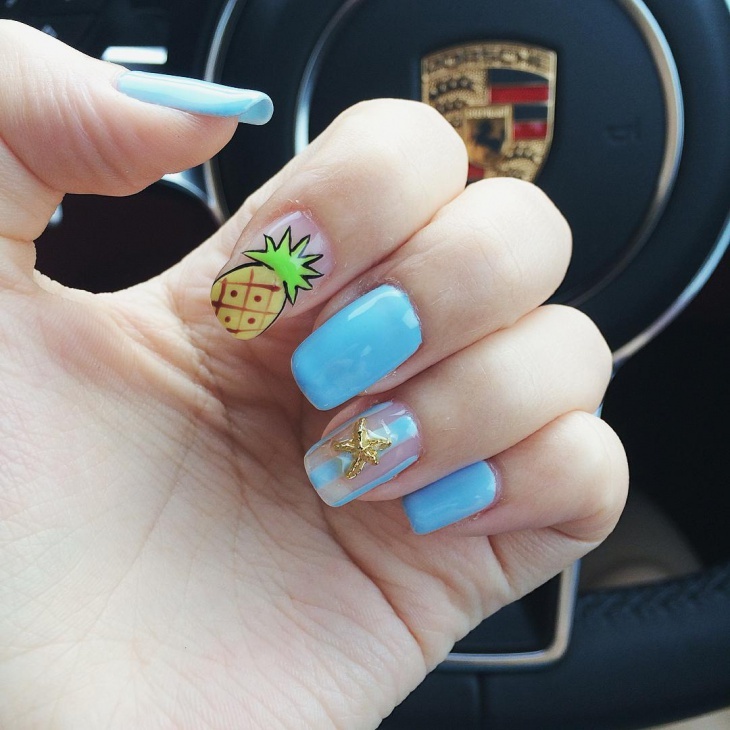 Pineapple nail art is fun as well as chic. 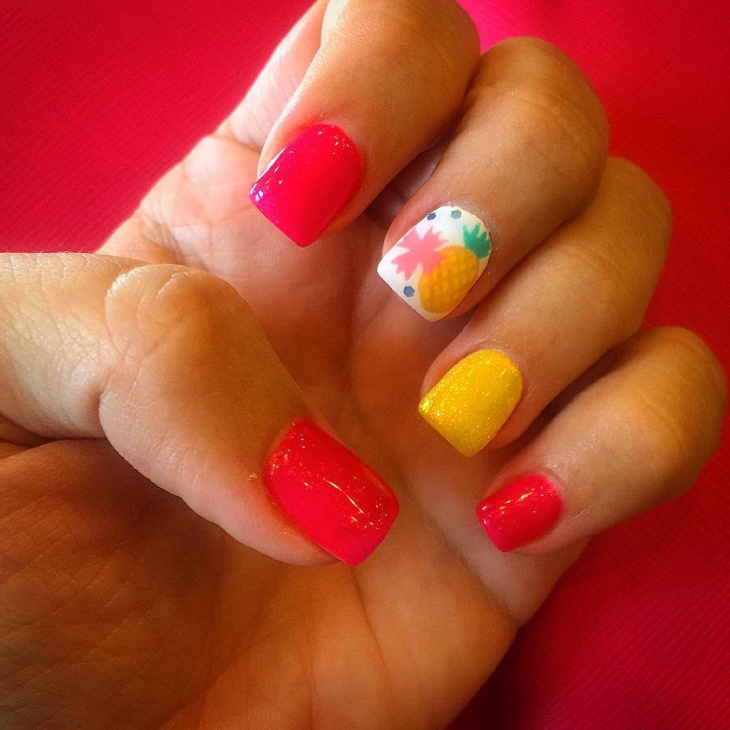 While this nail art is perfect for summer, their vibrant color makes them ideal for any casual event. 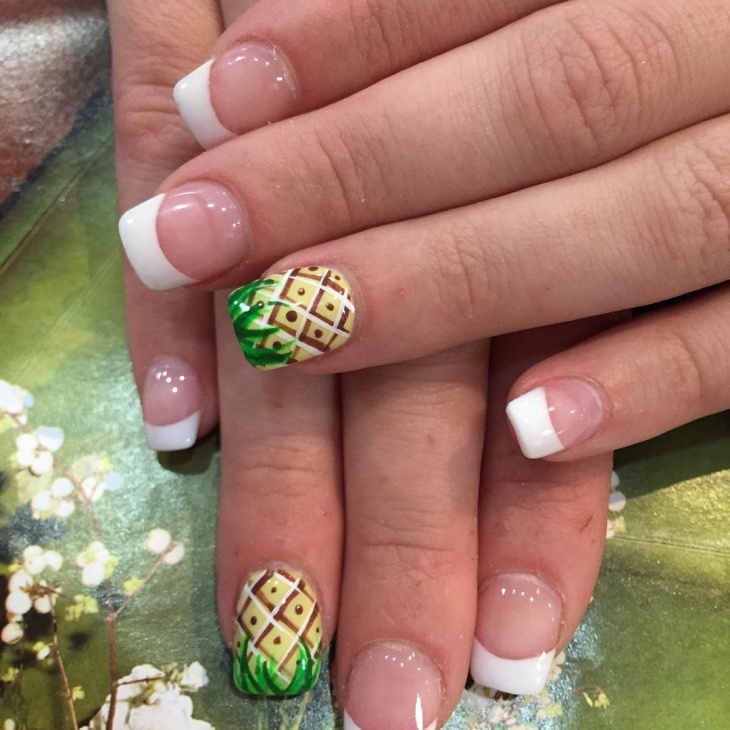 You can add a pineapple design on your finger nails as well as toes. To break the monotony of French tip nails add a pineapple nail art. 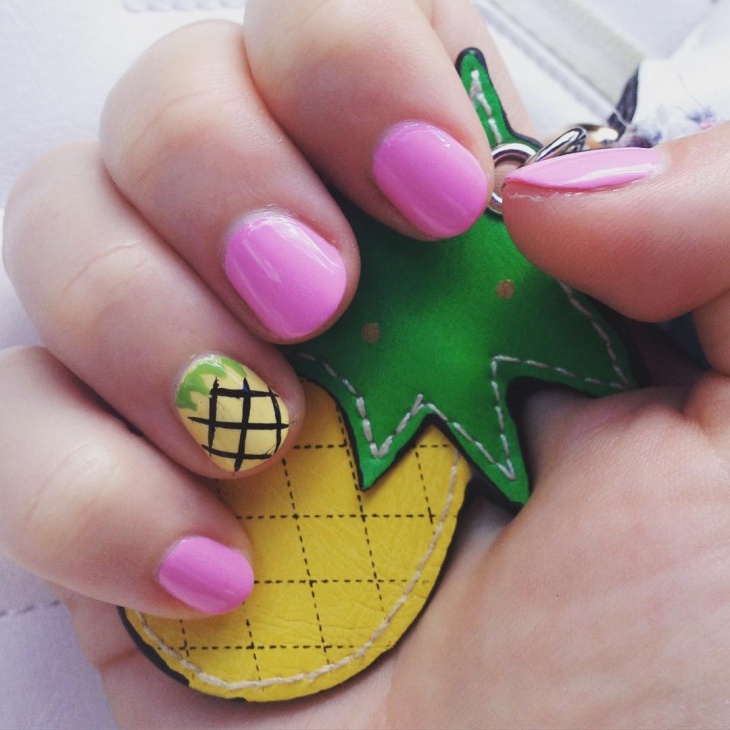 Either way, your nails will look beautiful with pineapple designs.